Item2013.6.36.1.002.010 - Church in Arrow Park, B.C. Item 2013.6.36.1.002.006 - Office of the Central Coal Co. Ltd in Nanaimo, B.C. Office of the Central Coal Co. Ltd in Nanaimo, B.C. 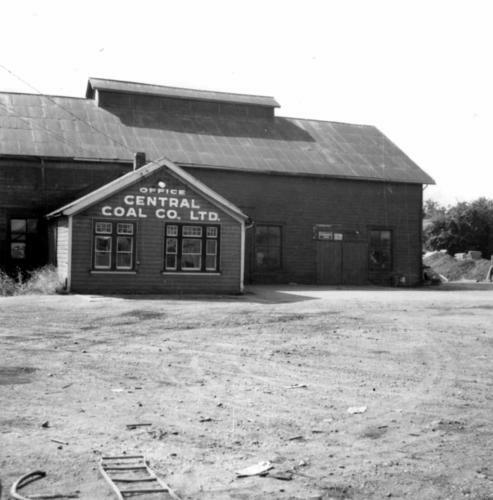 Photograph depicts the office of the Central Coal Co. Ltd., located on the south outskirts of Nanaimo, B.C. beside the Esquimalt and Nanaimo Railway. The building is one of the last pieces of evidence of coal distribution in Nanaimo.